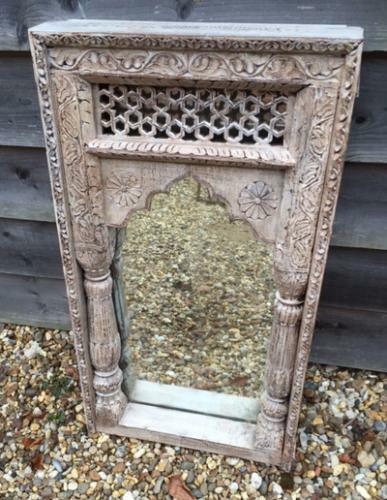 19th Cent Well Carved Indian Mirror with old glass. Stunning detail with pilarred sides and fretwork panel. Would look very striking in bedroom, bathroom or living room.